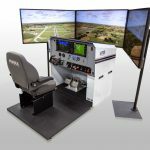 After spending the last several years considering options to supplement it’s simulated training devices, Moody Aviation has selected Frasca International to provide three reconfigurable Advanced Aviation Training Devices (AATDs) for use at their flight training facility at Felts Field in Spokane, Washington. Moody is one of Frasca’s earliest customers, having purchased their first Frasca simulator in the 1960’s. Moody currently uses several Frasca devices which have been acquired over the years. Their three new AATDs will replace three earlier Frasca units. 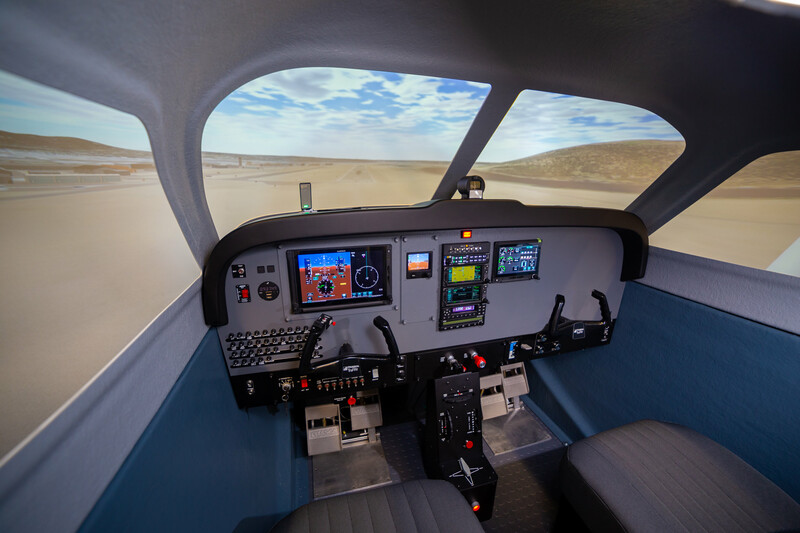 Each new AATD will be equipped with Frasca’s Simplicity™ IOS instructor station and TruVision™ visual system with 210° x 10 projected display system. These are some of the most versatile AATD’s that have built by Frasca. Each AATD will model the flight and systems characteristics of the Cessna 172R, Cessna R182 and the Cessna U206G which make up the core training fleet for Moody Aviation. The avionics stack in each simulator includes state of the art equipment to provide the same operational characteristics, look and feel of the equipment installed in the aircraft which consists of the PS Engineering PMA8000 audio panel, dual Garmin GTN650 GPS/NAV/COMs, Garmin GTX345 ADSB transponder and S-Tec System 55X autopilot. Garmin Engine Information System will also deliver engine monitoring for each model. 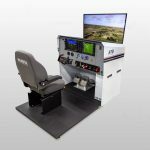 The 172R and R182 aircraft models will include a reconfigurable pilot instrument panel which is equipped with the Garmin G500TXi primary flight display and the L3 ESI-500 serving as the backup flight display system. The U206G pilot instrument panel will be equipped with the traditional six pack of primary flight instruments allowing students to learn both traditional and glass instrument presentations. Students will learn the value of angle of attack as they compare pitch attitude to the Alpha System Eagle/Valkyrie AOA display. Moody’s latest training curriculum will include 10 – 20 hours of instruction in the reconfigurable simulator prior to moving to the corresponding aircraft , allowing for a cost effective introduction to aircraft systems, procedures and flight characteristics and preparing students to make effective use of the training time in the aircraft. “We are very pleased to continue as the simulator provider for Moody’s Flight Training Program. Our history with Moody goes back several decades. From the start ofour relationship, Moody has been innovative in their use of simulation. 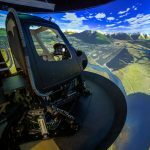 It is very satisfying for Frasca to see that their new program will exploit the technology of our newest simulators in order to efficiently and safely train pilots. It’s very humbling to be an integral part of training the pilots who go on to do amazing work helping others.” noted John Frasca, President of Frasca International. The history between Frasca and Moody began in the 1960’s, but the concept for training pilots at Moody Aviation began much earlier. In 1946, Paul Robinson approached the trustees of Moody Bible Institute in Chicago with an innovative idea to use the surplus of pilots and aircraft after World War II to help missionaries and medical personnel serve people in the most remote and isolated locations. Paul opened Moody Aviation in Elmhurst, Illinois with a devotion to train and prepare students with the very best methods and technology available. He wanted to enable them to operate aircraft safely and effectively wherever they landed. Since those early years, Moody Aviation has trained hundreds of pilots and mechanics who have delivered aid and good news in almost 50 different nations. Moody Aviation upgraded to a Frasca flight simulator from a Link trainer in the late 60’s. Frasca simulators have been a constant at Moody Aviation ever sense. From the early models to the latest AATDs, Moody has used these invaluable tools to enhance the capabilities of flight instructors and increase student comprehension and skill for decades. From learning to taxi to the rigors of instrument flight, with hundreds of emergencies in between, Frasca training devices are a core part of the pilot training curriculum. Moody’s students recognize the value of the training they receive in the simulators both from a cost savings and as an incredibly realistic exposure to the challenging environments in which they are preparing to operate. 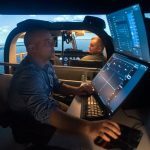 “Although there are many simulator devices on the market, from simple computer setups to elaborate full motion devices, Moody Aviation has continually turned to Frasca devices as their primary flight simulators for over 50 years. We continue to be impressed with Frasca’s commitment to excellent flight fidelity, powerful and intuitive instructor interfaces and the most prompt and courteous customer service. We look forward to many more years of partnership with the family at Frasca as we continue our mission of training pilots to serving beyond the roads.” stated Ian Hawk, a Flight Instructor at Moody.